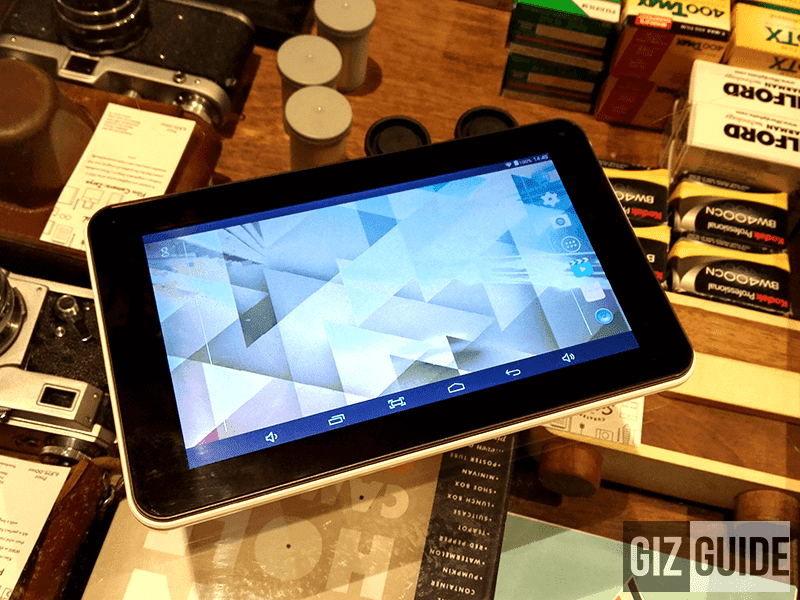 Ekotek Ekotab Encore 2u Review, The Durable Budget Tablet Gets An Upgrade! 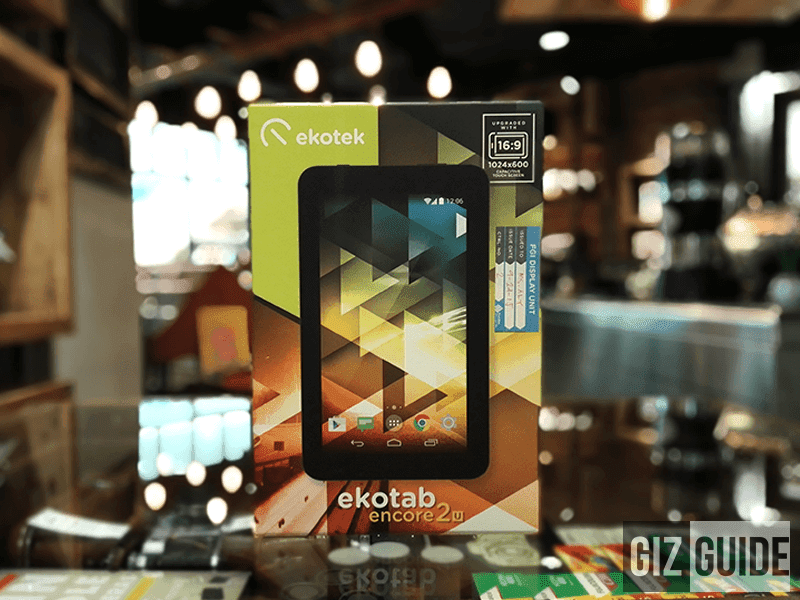 Home / ekotek / mobile / news / Ekotek Ekotab Encore 2u Review, The Durable Budget Tablet Gets An Upgrade! 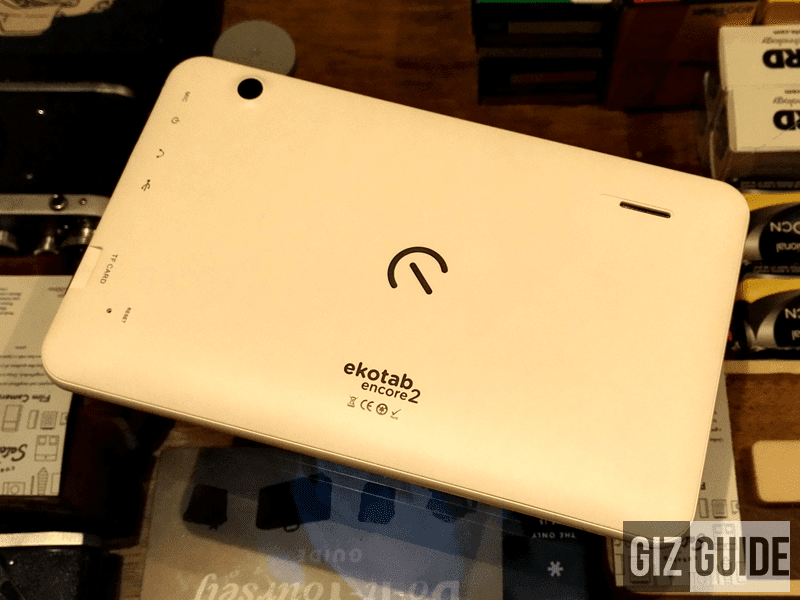 While the Ekotab Encore 2 was a decent tablet for the price before, it has some glaring weaknesses in the display and storage department. Recently, Ekotek solved that issue by releasing an upgraded one called the Encore 2u. The Ekotab Encore 2u now has a better screen resolution of 1024 x 600 pixels against the 800 x 480 and 8 GB of expandable ROM against 4 GB. Let's now proceed with the review. The Encore 2u contains most of the accessories found with the Encore 2. 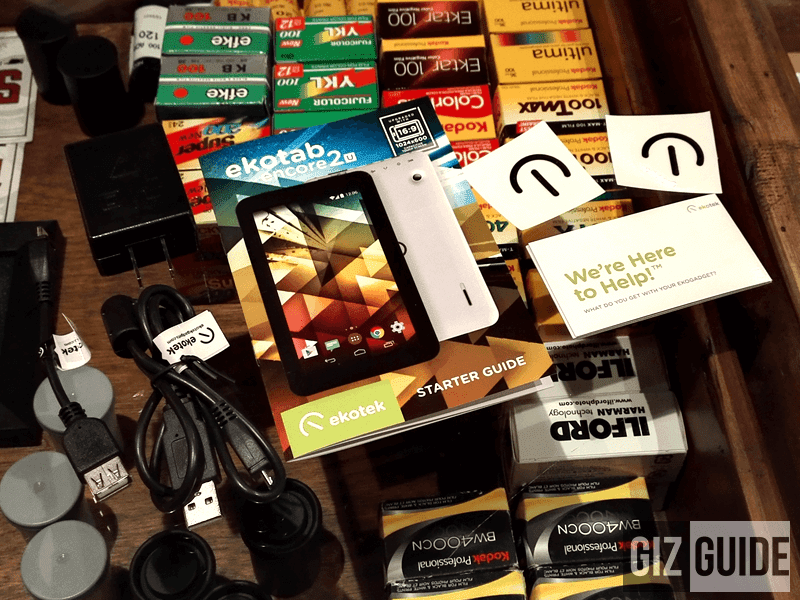 That includes a 1 A charger, micro USB cables, free USB OTG cables and stickers. What's different here is Ekotek improved the "boring" manuals into an easier to understand "Starter Guide. Compared with the older Encore 2, there's no difference at all when it comes to the build and design of the Encore 2u. The slightly curved back design gives a better hold of the product, there are no sharp edges and it feels good to hold in general. 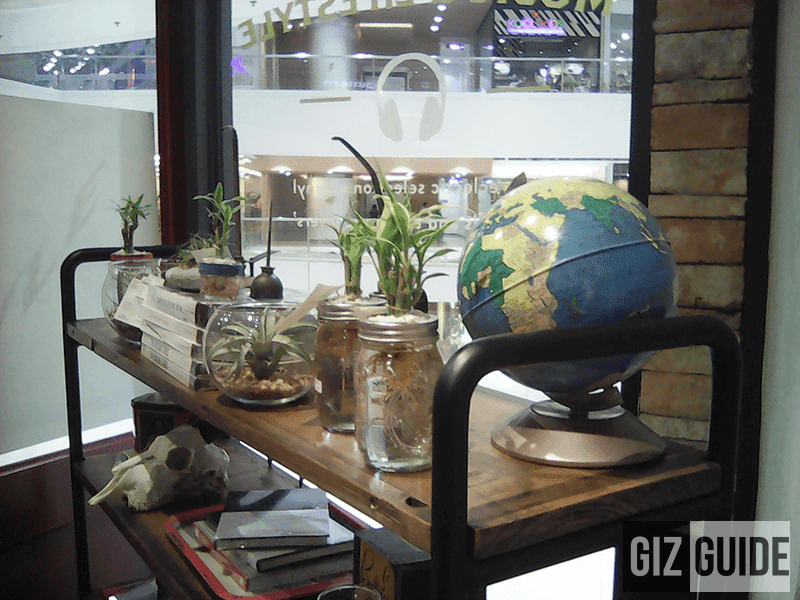 It still maintains the same mold that's built out of high quality plastic that's thicker and feels more durable than the rest of the under 3,000 Pesos tablet. What Ekotek could improve here is the design of the tablet. While this type of mold is proven and tested already it looks a bit outdated design-wise. It's chunky against the modern competition and the bezels are thick. However, that is just a minor thing if you have build quality in mind as the Encore 2u is a toughie in that category. Ekotek is listening to our suggestions, and that is a great thing. Instead of using the same old 800 x 480 screen that looks so dull and doesn't give a good viewing experience. They managed to improve it by incorporating a 1024 x 600 capacitive screen that looks a lot better than before. From bad display, it's now a little under the decent category. 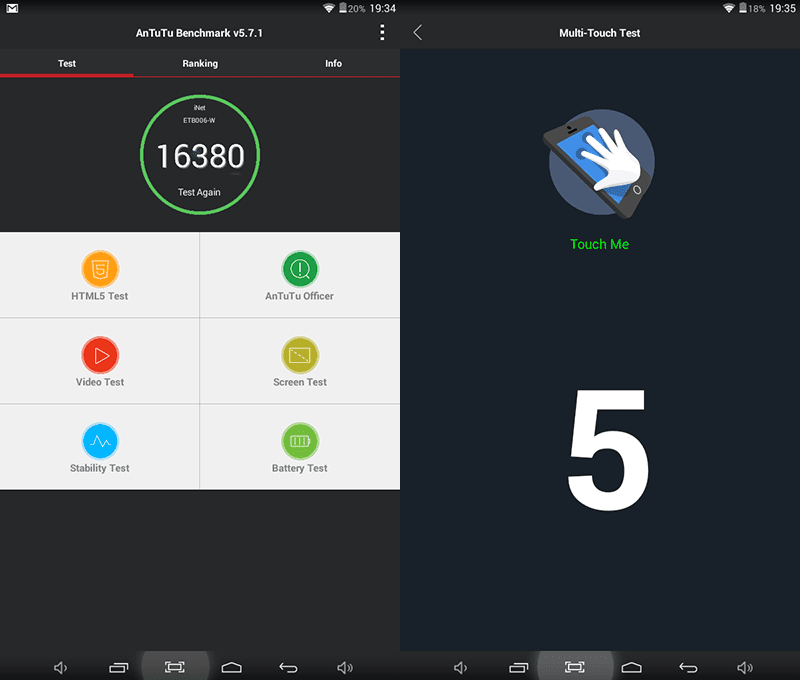 It also maintained 5 points of multi touch for a more accurate and responsive touch experience. What they missed from our previous suggestion is to avoid a compressed resolution that made the icons looks slightly compressed. Nothing changed with the audio quality of this tablet. The speakers were loud and has decent clarity and details. (Just make sure not to crank the volume up to 100% to avoid distortion) The headphone out maintained that flat sound signature that's customizable via equalizer depends on your taste. The microphone on the other hand needs improvement as you need to use it in a quiet place in order to get pleasing performance. Fortunately, this tablet is not for calls. With the use of a slightly higher resolution, I expected that this tab would have lesser battery life compared to the older Encore 2. And I'm correct in that part, but to my delight the difference is just small. The 2,500 mAh battery capacity of this tablet lasted me 2 hours and 40 mins under extremely heavy usage while watching movies with WiFi, Bluetooth and Speakers on. 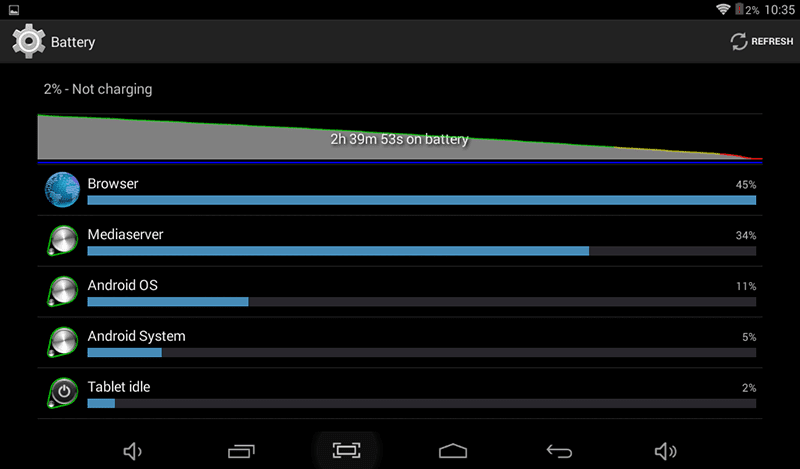 Under regular daily usage it was a little over 7 hours. What great here is the standby time, there was one time that I didn't use this device for two days and when I opened it again there's very minimal battery drop. The Encore 2u utilizes the same sensors found with the Encore 2 at 2 MP rear camera and VGA selfie camera. The results is just like what we expected, the 2 MP sensor at the back can take acceptable photos with good lighting and badly needs improvement in low-light. 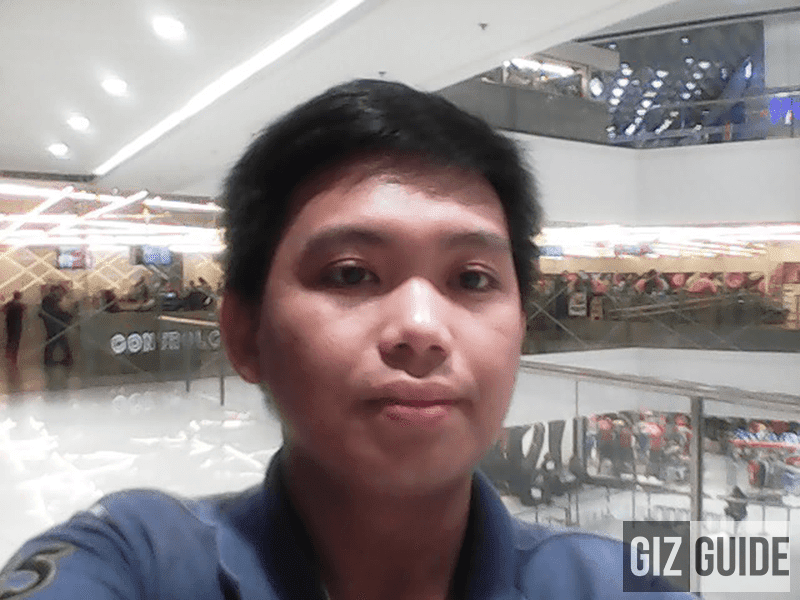 The VGA front camera on the other hand takes pixelated shots and lags in video calls. Just don't expect too much from it's camera as this tab isn't mean to be a camera device. Let's just be happy that there's a camera included in case of emergency. With the use of a 1.5 GHz All Winner A33 quad core processor, the Encore 2u just like its older brother has a speedy performance for the price. When opening apps that doesn't require big RAM usage it was able to perform seamlessly even with moving from one app to another. I also like the fact here that Ekotek isn't fond of using skinned Android OS that gives you an almost stock Android Kitkat feel. I also like that Ekotek increased the ROM of this unit from 4 GB to 8 GB. That only means we can store more files, movies, music and games here. When it comes to gaming, it can open one heavy game at a time like the Dead Trigger 2 thanks to the use of Mali 400 GPU. It's playable enough even if won't have the best performance out there. For casual and not heavy games you'll rarely experience hiccups. We loved the specs improvements without the price hike that makes this tablet a more decent device against the older Encore 2. Then it still has the signature Ekotek tough build quality and acceptable performance but to be honest, there still weaknesses that should be improved in their future releases like the lack of gallery app, slightly compressed UI and the use of a more modern design ID.